Fuel! automates the process of finding the nearest gas station using Apple Maps or Google Maps without ever having to touch your iOS device. When you’re on the road in a new town and the gas tank begins relentlessly nagging for fuel like the man-eating plant Audrey in Little Shop of Horrors, you know it’s time to find the nearest gas station. 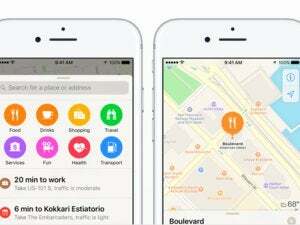 Apple Maps can get you there with a bit of tapping, but there’s a new app that promises to streamline the process. When launched, Fuel automatically selects the closest gas station from this list, then launches your preferred navigation app to help drive there. 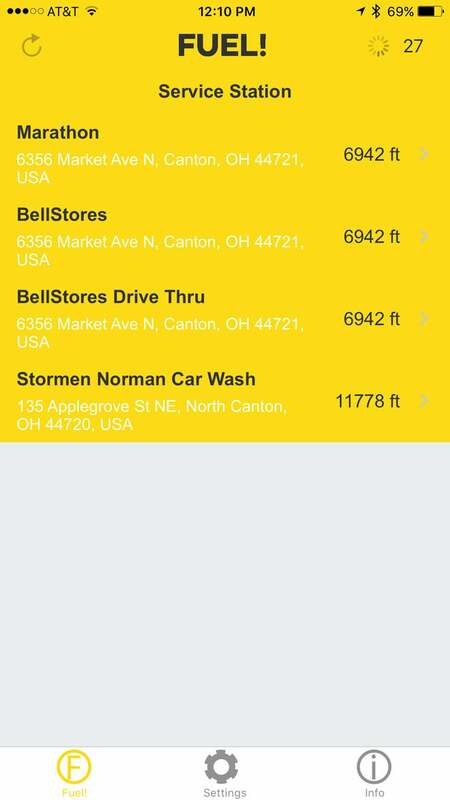 Fuel is a free, universal app that helps automate finding the nearest gas station. When paired with two voice commands, the process is almost entirely hands-free. The first command, “Hey Siri,” wakes your iOS device, while the second, “Open Fuel app,” launches the app and displays a list of gas stations close to your current location. By default, Fuel automatically selects the nearest station, launching Apple Maps (or Google Maps, if you prefer) with the destination open and ready for turn-by-turn navigation; you’ll still have to tap the screen to begin, however. From settings, you can opt to make a manual selection, switch between imperial or metric measurements, and adjust the maximum distance to display additional choices. 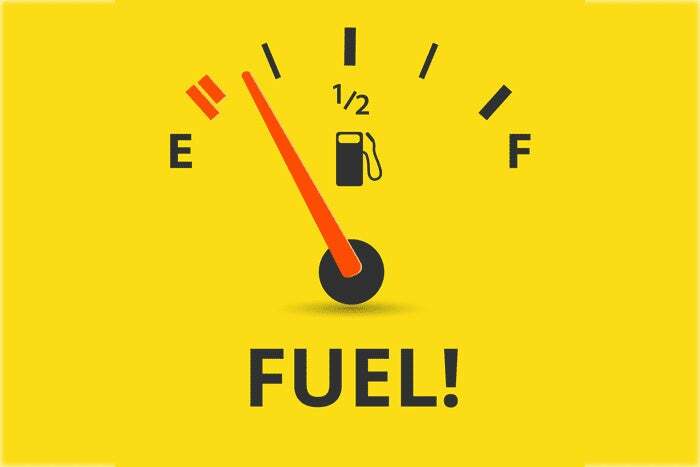 Fuel is an intriguing idea, designed to spend a minimum amount of time in use, which is the opposite goal of most developers. 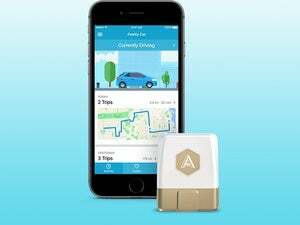 But the app’s potential is marred by the decision to impose advertising when drivers need the app most. Here’s a sampling of the free apps you’ll need to download to earn 50 points and remove in-app advertising from Fuel. When you first open Fuel, you won’t see ads. That’s because the first two days are a free trial period. After that, intrusive full-screen ads pop up on every screen, grinding searches to a halt and negating the app’s hands-free simplicity by requiring drivers to wait several seconds before tapping a tiny button to clear the screen. 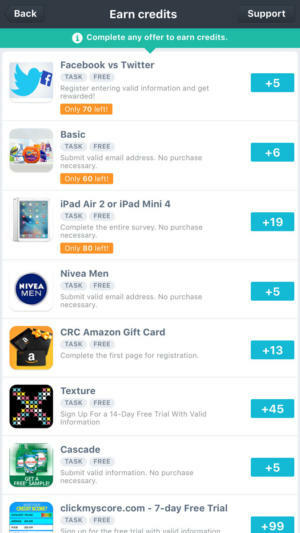 You can quench the app’s thirst for advertising by coughing up a one-time in-app ransom purchase of $5; if you have free time on your hands, there’s an option to download free apps instead to earn the 50 points necessary to disable ads. I’m the rare breed who’s happy to pay for quality apps, but I don’t like being strong-armed into doing so. Fuel doesn’t display current gas prices or offer other conveniences you can’t already get for free with iOS, but a two-day trial is insulting and potentially dangerous for drivers who choose not to pay. Skip the all-too brief two-day trial offered by Fuel and just ask Siri to drive you to the nearest gas station instead.